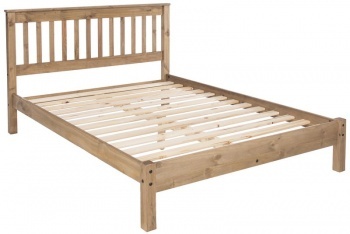 Traditional pine bed frame with a timeless appeal. 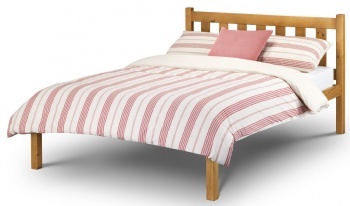 Beautifully designed with a spindle headboard. 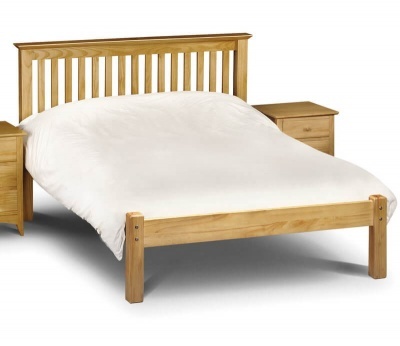 Solid pine with a hard-wearing antique lacquer finish. 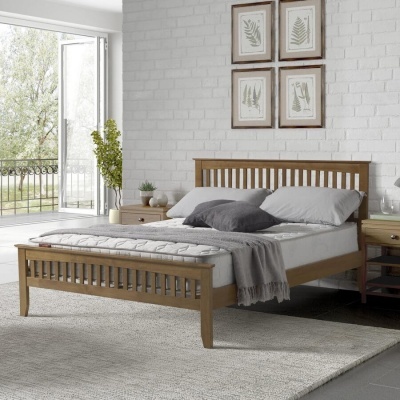 The base of this bed frame is constructed from wooden slats. 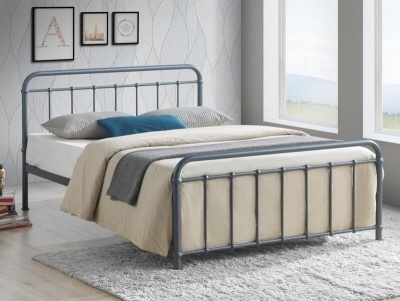 Pickwick double bed frame fits a standard double mattress (135 x 190 cm). Available separately. Delivered flat packed by a two man delivery service to a room of your choice. Easy to follow assembly instructions included. Part of our collection of pine bed frames.